Friday Funny: Leave Me Alone! Hang in there, it’s Friday! Until next time, Good day, and good dog! 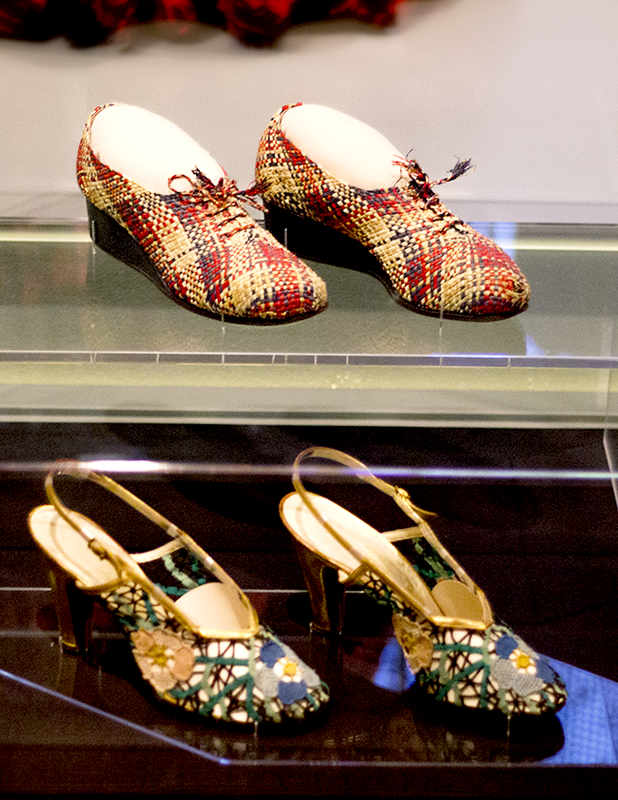 This post is in partnership with the Chicago History Museum. 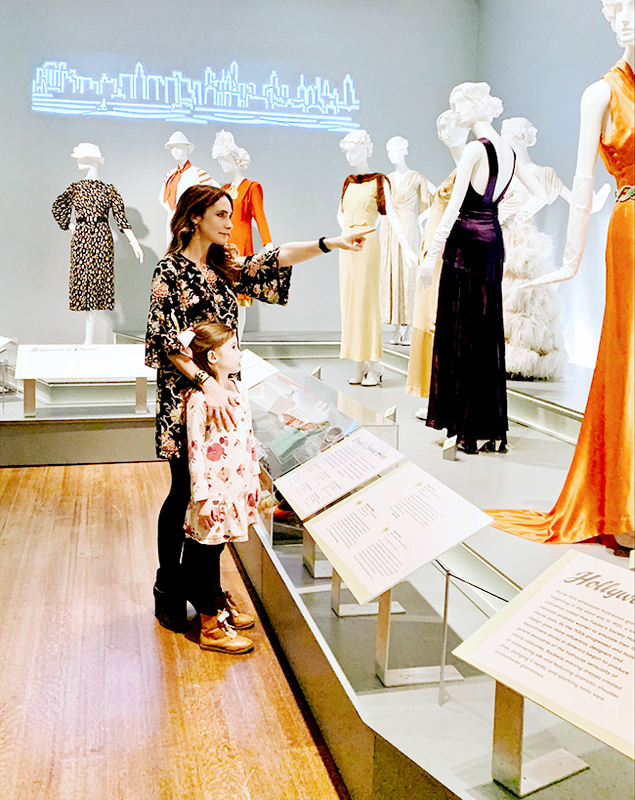 Those of you who follow me on Instagram may have joined me last Friday as my mom, daughter, and I visited the most incredible exhibition at the Chicago History Museum entitled Silver Screen to Mainstream. When I first heard about it, I was intrigued by its tagline – “the original influencers” – and when I saw it in person and learned more about the history of the clothing on display, the tagline really made sense. 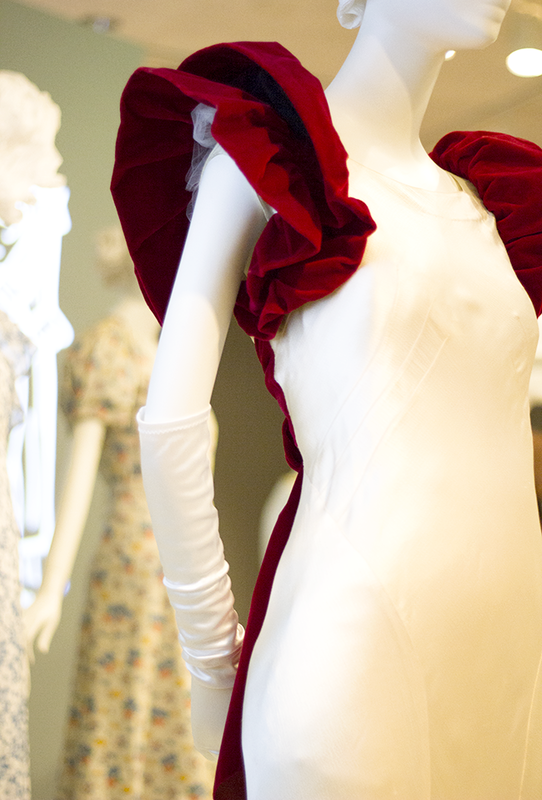 Today I thought I’d share with you some pieces of the wonderful afternoon we spent at the exhibition. 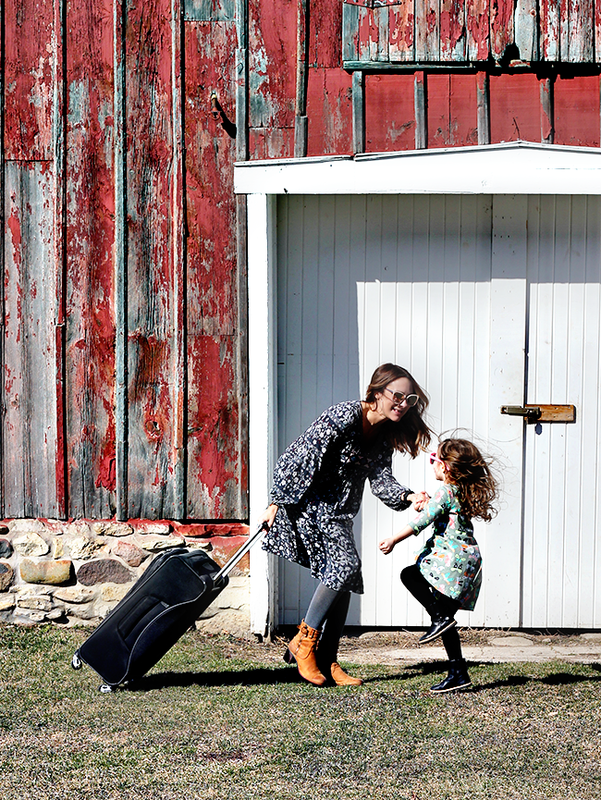 And I hope those of you in the Chicago area (and beyond!) will take the time to go check it out. It’s captivating. Jessica Roussin, Digital Marketing Coordinator for Chicago History Museum (that’s her above! ), gave us a little tour when we first arrived, and explained more behind the pieces in the exhibit. 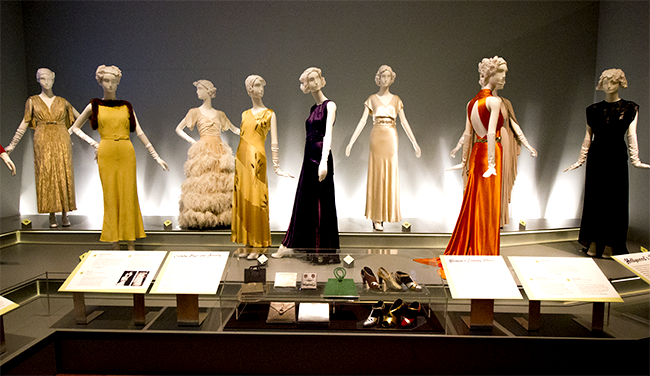 Over thirty garments from the 1930′s and 40′s are on display, by designers such as Chanel, Vionnet, Valentina, Paul du Pont, Howard Greer, and Adrian, and you guys, they are stunning. She also explained more about the history behind it, which was just fascinating to me. 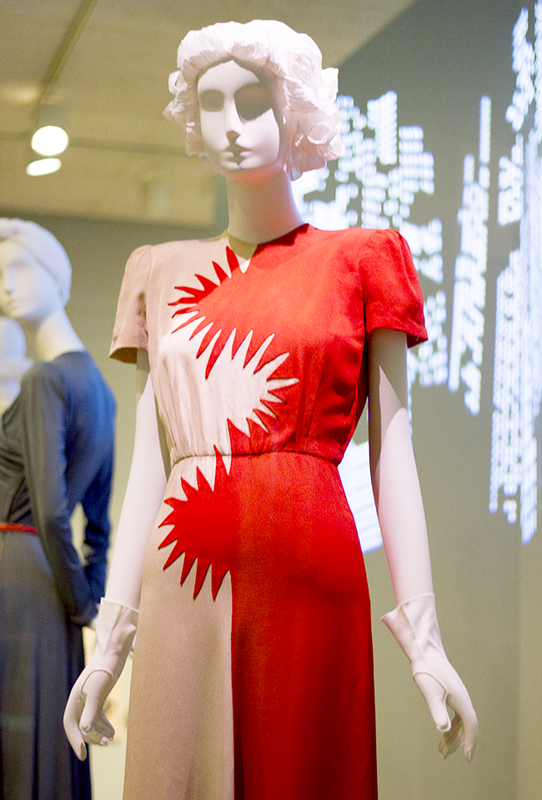 If you’ve been reading here for a while, you likely know that I have a background in fashion (I majored in theatre in college and spent much of my senior year studying costume design, and later ran an eco-friendly womenswear label for close to 15 years), and the history of fashion in America during the 20th century has always had a place in my heart. 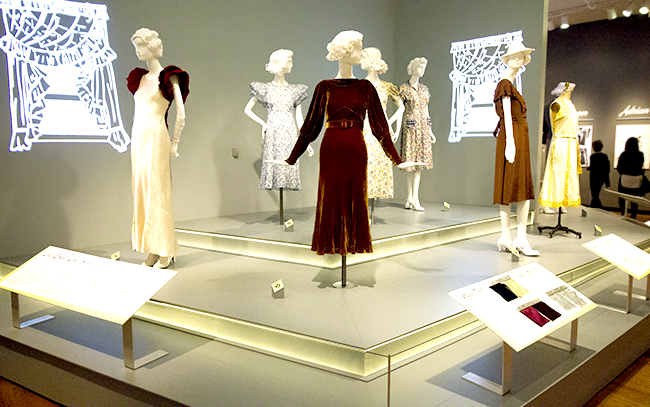 I didn’t know a great deal about this particular era though, and walking through the exhibit was such a rich lesson in how, as America headed out of the Great Depression, celebrity culture emerged and began to affect mainstream style. 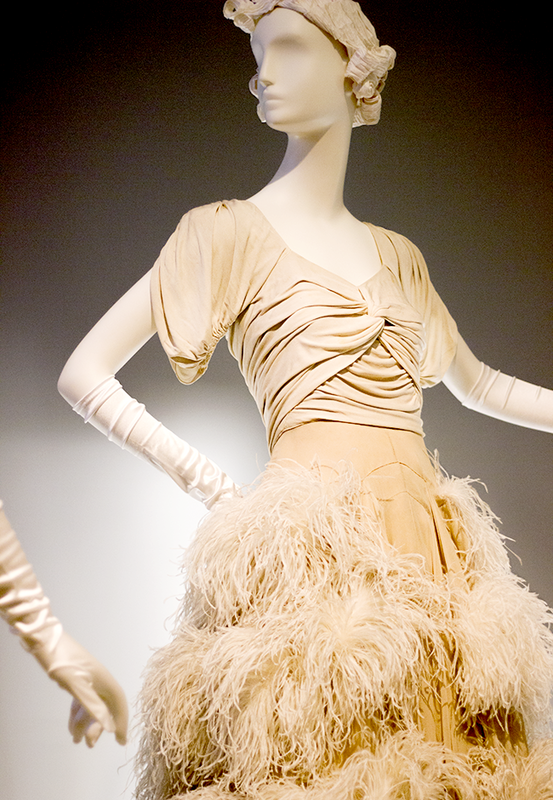 Long before blogs and social media existed, Hollywood movie stars were true influencers, and for the first time in history, designers began creating garments for the everyday woman based on what these stars wore in their films and beyond. 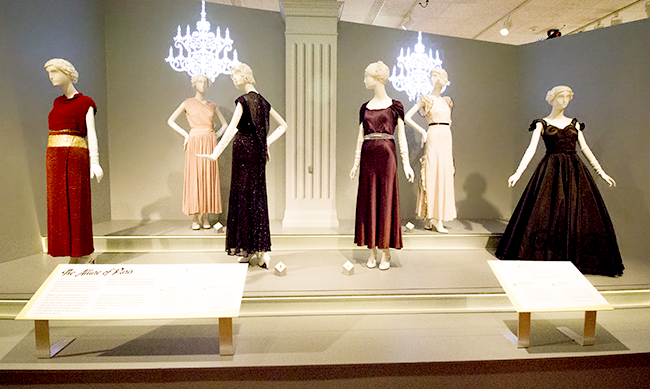 In addition to the plethora of glamorous dresses on display, the exhibition also has a section of casual dresses handmade by women who weren’t designers or famous on any level from patterns ordered from catalogs. 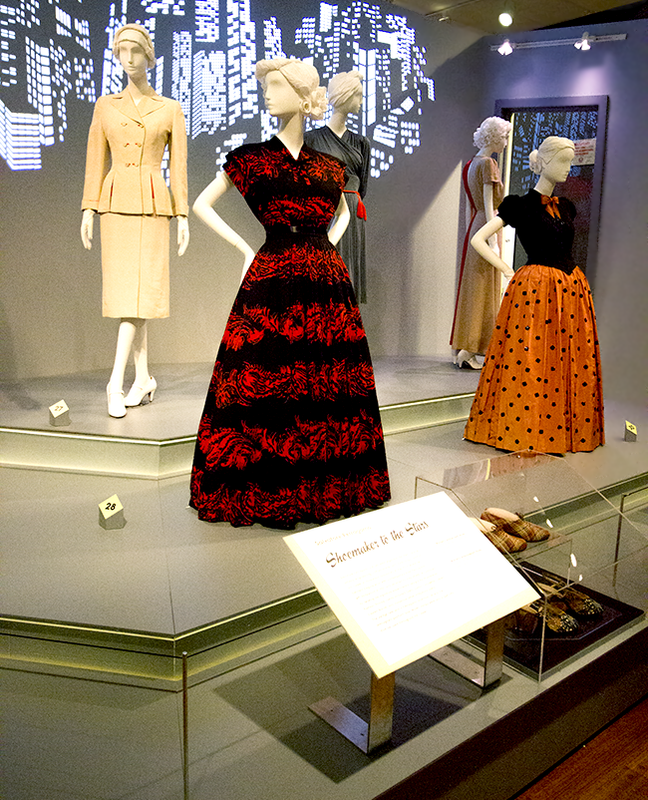 One of the dresses is even on display inside out, to showcase the detail that was put into sewing it. 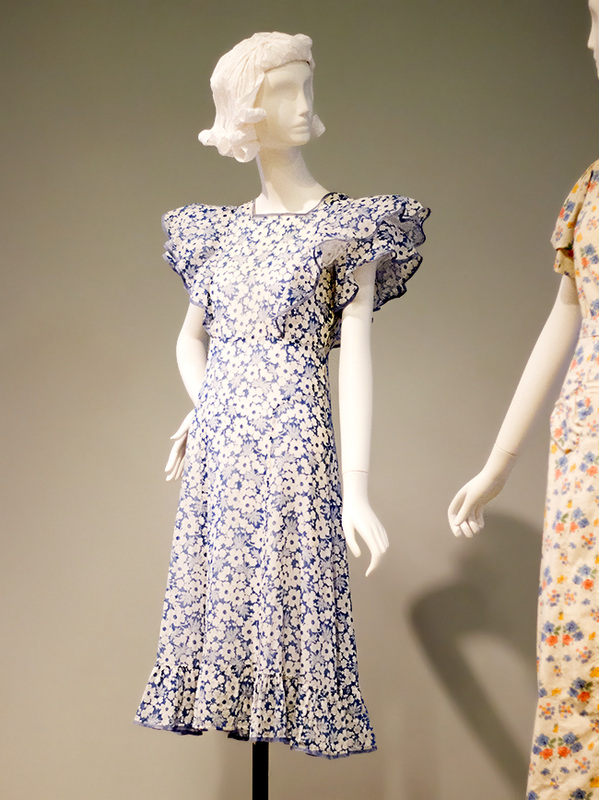 Even these house dresses are simply gorgeous, and it was so cool to learn more about the time when sewing patterns first became commonplace. 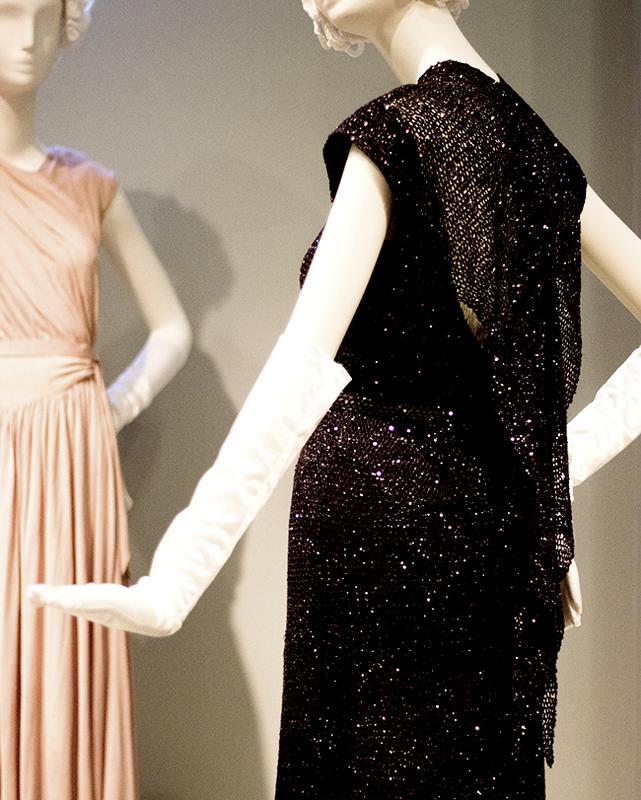 It was also a treat to get to see the shoes, evening bags, and jewelry worn at the time, and the ways in which Hollywood had influence over accessories as well as clothing. 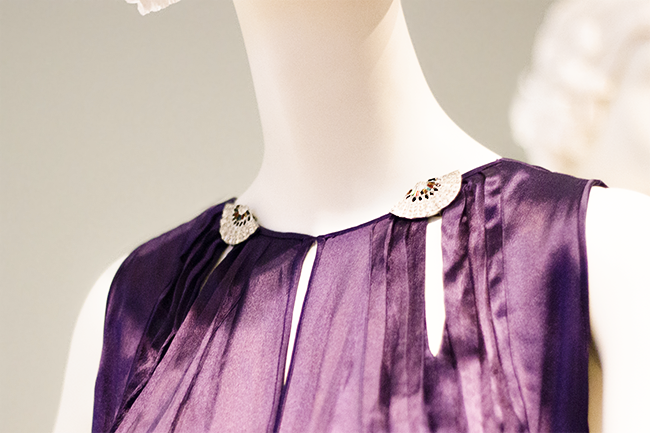 I was specifically drawn to the dress clips on display, which were very on trend at the time. 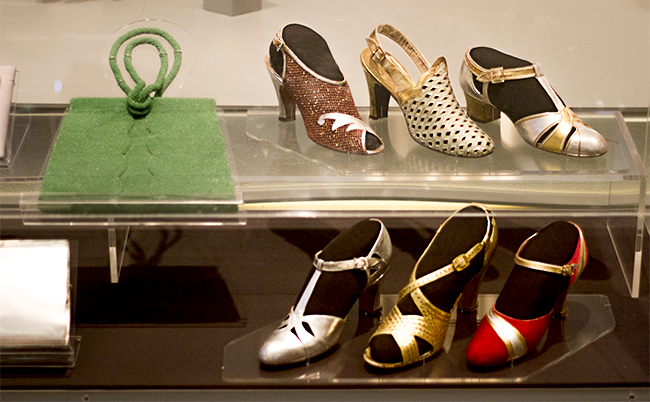 They were convertible, and could be worn on necklines, on shoes, or as brooches. My daughter was intrigued by the pocketbooks, which were quite fancy, and made from materials like suede, metal, and even plastic. 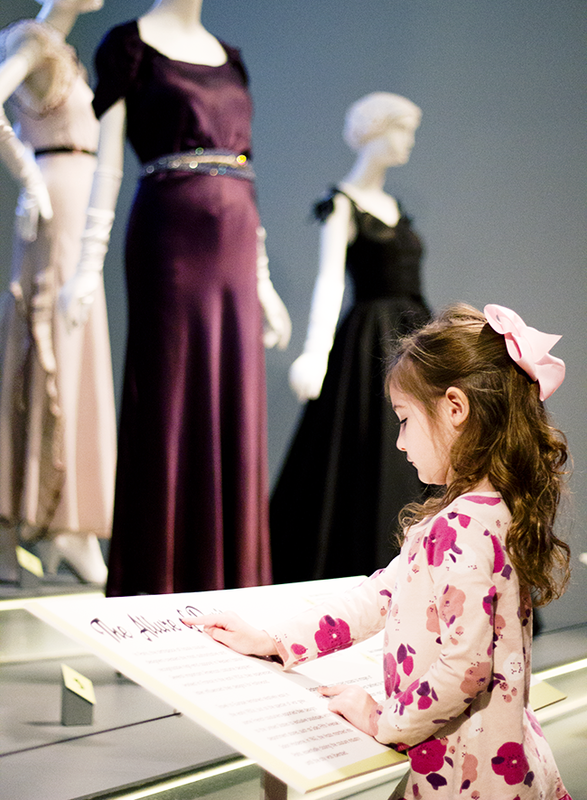 I took so much from this exhibition (as did my mom and daughter! 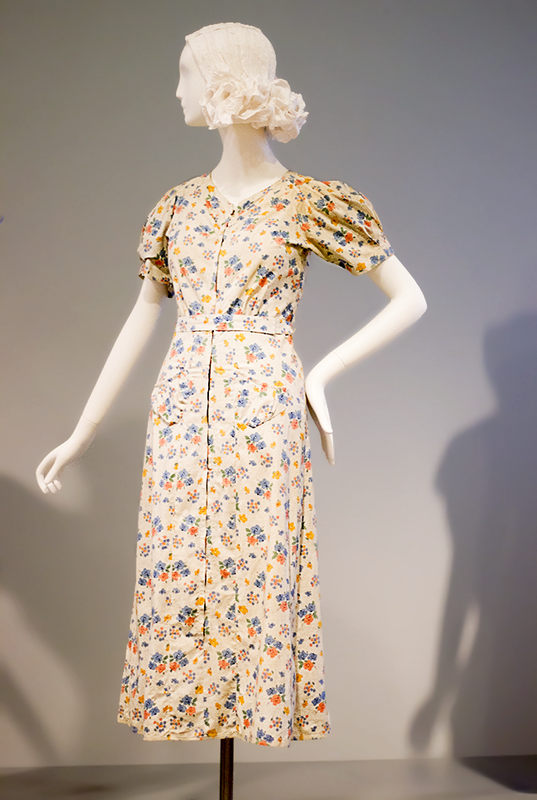 ), but I was especially intrigued by how, despite serious hardships and adversity as a result of the Great Depression, people in the 1930′s and 40′s used fashion to retain a sense of normalcy – or to at least appear to be together, even if the rest of their lives were not. 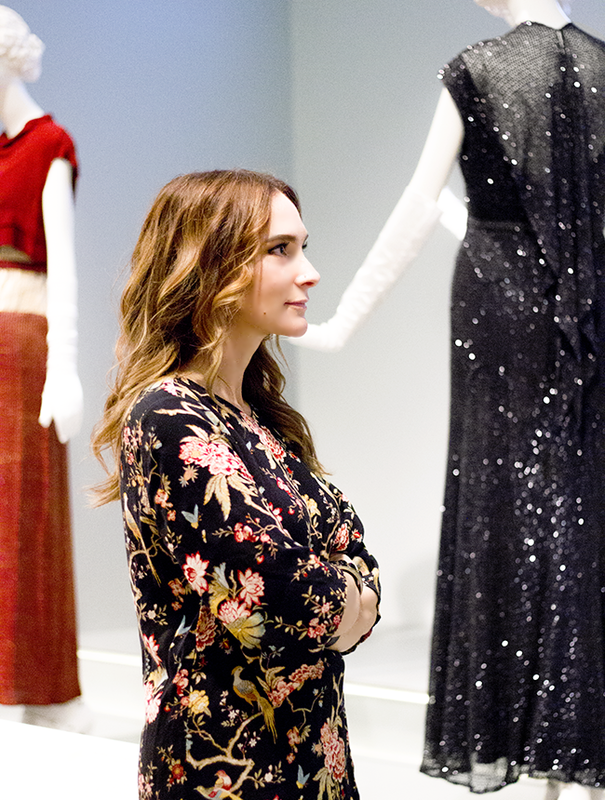 Going to the movies was an escape from reality that provided a sense of optimism, and women were inspired by the fashion of the stars, so they took a little of the movies with them and made that fashion their own. 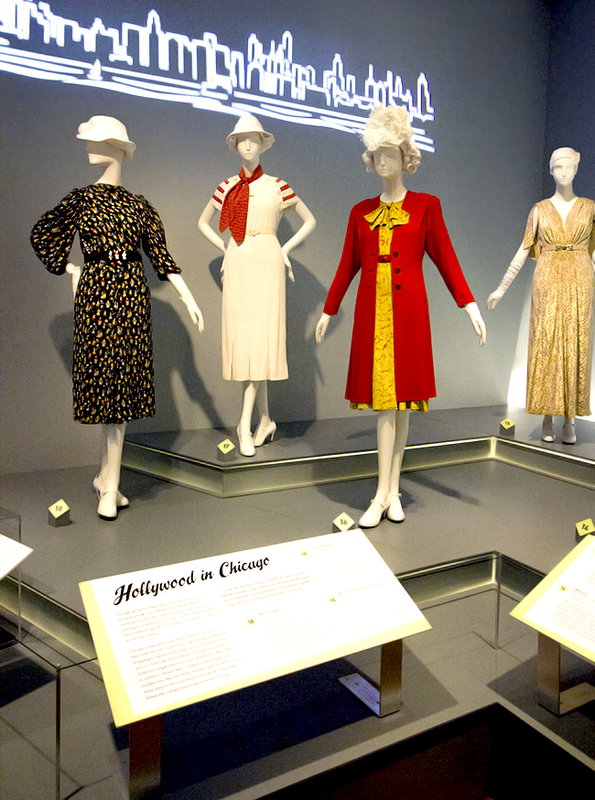 Some were able to purchase designer replicas of what the actresses wore, and others (most, I’m guessing) purchased inexpensive patterns and created Hollywood inspired garments from them. 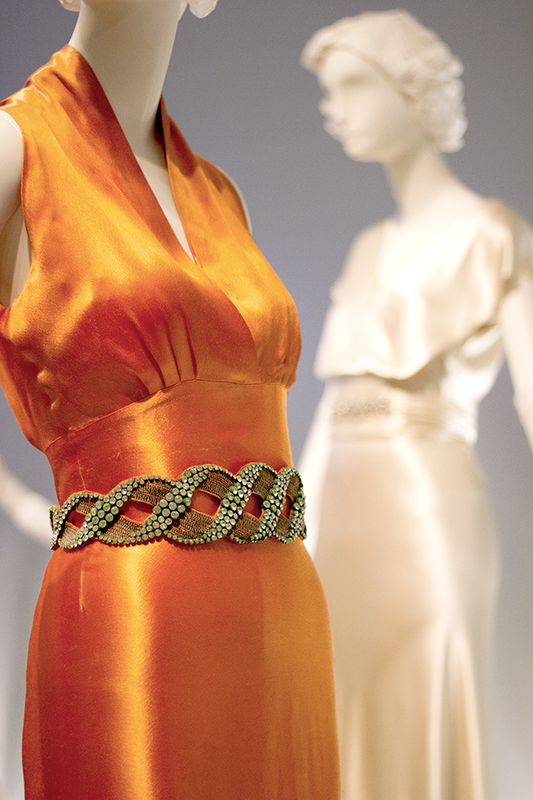 Whatever the means, in a time of uncertainty, the fashion of the cinema was moving far beyond the silver screen and providing the mainstream with an exciting, new American style. 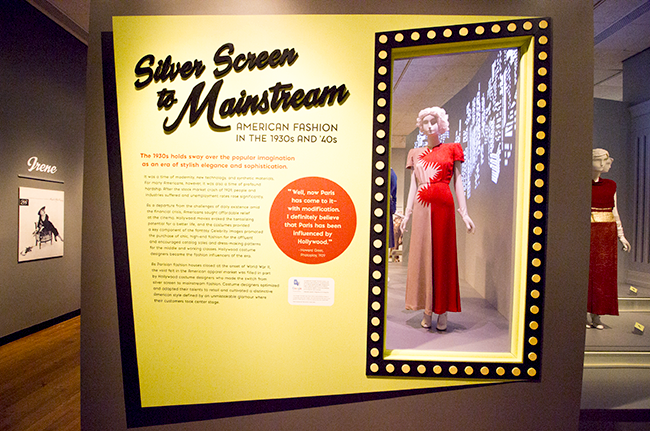 If you live in the Chicago area, or are planning a trip to Chicago, I highly recommend stopping by the Chicago History Museum and checking out Silver Screen to Mainstream (which runs through January 21, 2020) in person. 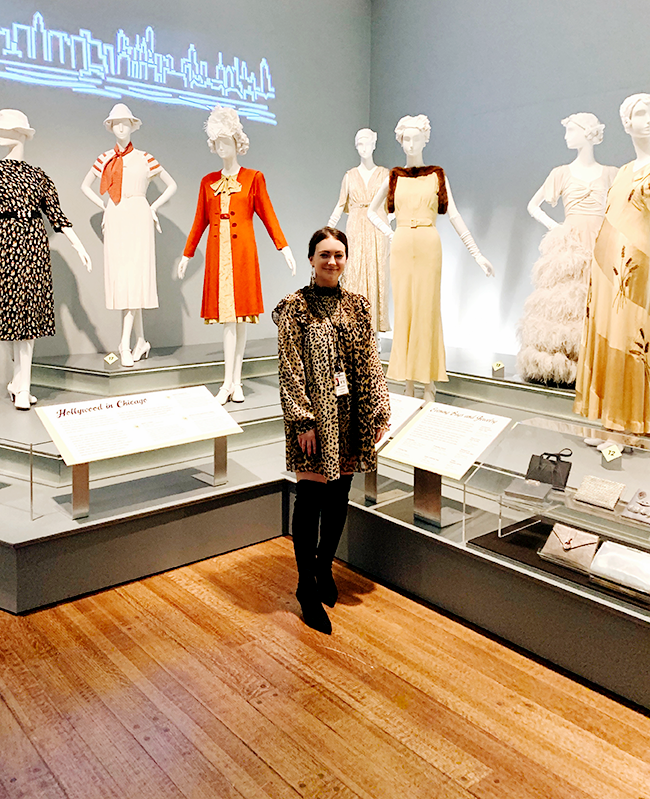 It tells a fascinating story, and the hard work by Collection Manager Jessica Pushor and Guest Curator Virginia Heaven is evident. 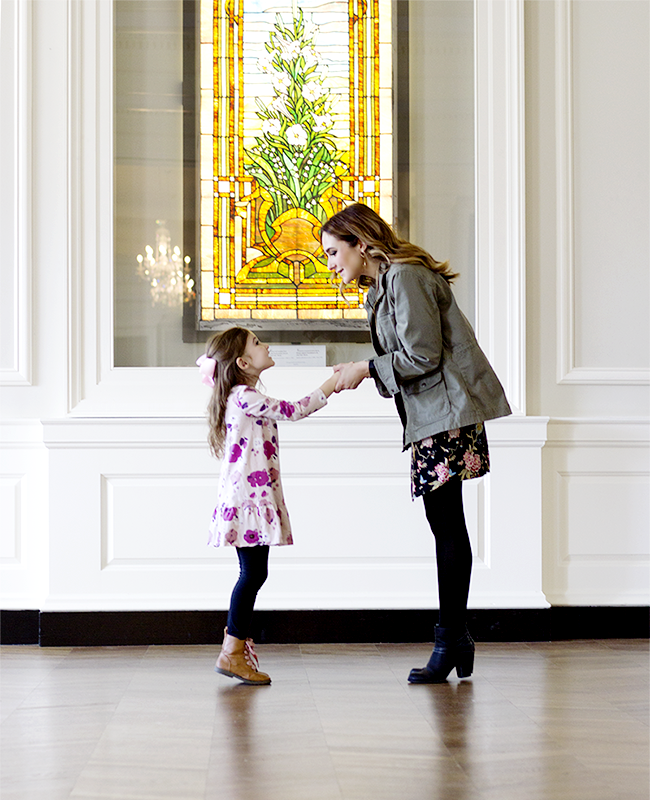 Then stay and explore the rest of the museum, which is full of fun for the entire family. Essley was obsessed with the lifestyle Chicago style hotdog. I was obsessed with the gorgeous event room (seen directly above). 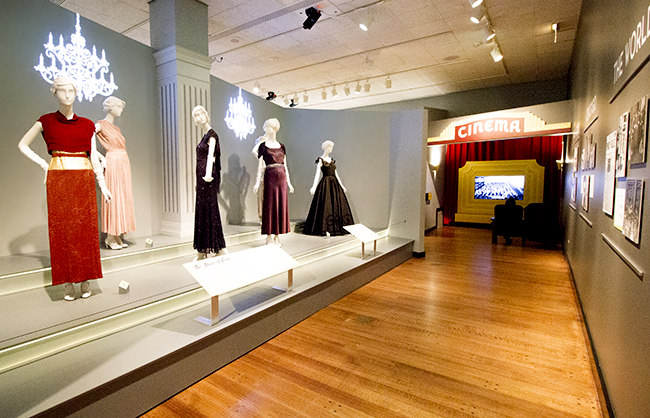 For more information on Silver Screen to Mainstream, visit Chicago History Museum’s website. Streamer likes to fetch and then zoom around with the oinky pig. His feathering is coming in nicely too.